An Arts venue and creative hub will have some extra money to reinvest over the next few years after discovering it is possible to switch water suppliers and save money on its bill. Marcus Pickering who manages the letting and maintenance at Summerhall in Edinburgh says the switch to Thames Water Commercial Services will save over 10% a year. 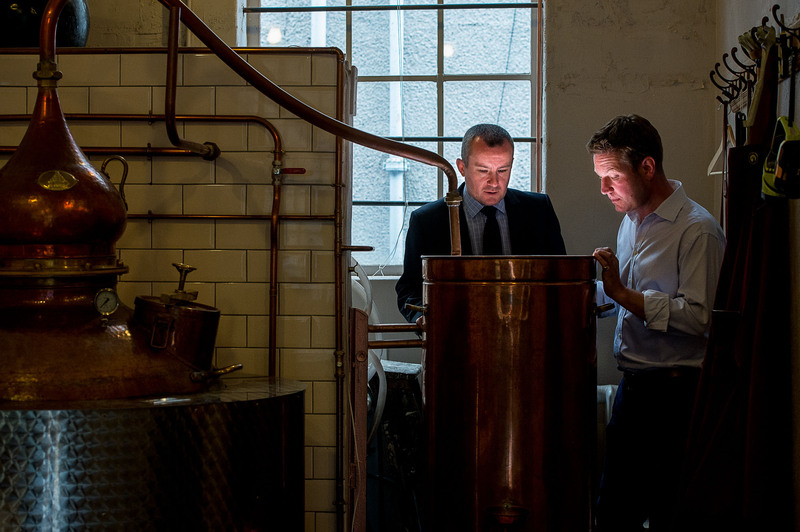 The 2.5 acre site, which is home to 120 separate businesses and organisations, including the rapidly expanding Summerhall Distillery is also a much loved venue during the Edinburgh Festival. Marcus, who is Power of Attorney for the site, discovered he could save the cost of approximately half an average annual salary just by switching provider when he met Kevin Durnian, Business Development Manager for Thames Water Commercial Services, at a dinner event. Now, as well as offering an initial 13% discount on its annual water bill, the water services provider is hoping to provide a further saving to Summerhall by using its industry knowledge to identify areas where the Arts business may qualify for a reduced tariff. 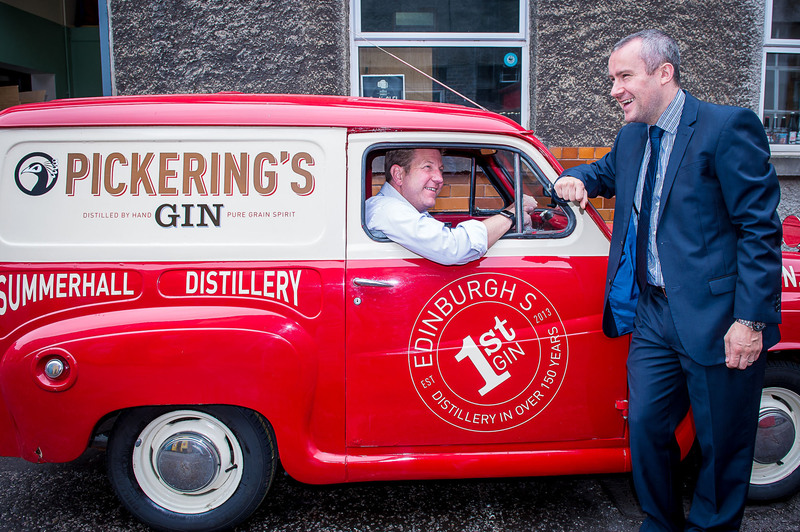 Marcus, who is also the co-founder of Pickering’s Gin, which is distilled on site at Summerhall, said: “I met Kevin at a dinner and when we got chatting he told me he could save us a lot of money on our water bill. “I didn’t actually think it would be as much as 13%. We’re not a huge consumer of water, but this will represent a fairly significant saving – it’s basically half of someone’s salary. Summerhall consists of 535 rooms and is home to various creative firms and initiatives as well as a bar, galleries, a museum and even a micro-brewery – Barney’s Beer. There are between 300-400 staff in the various businesses and the main use of water comes from toilets and kitchens on the premises, but it isn’t a huge consumer of water as it is run with sustainability and the environment at the forefront of what it does. The Distillery even uses well water from beneath the site to cool the gin, which is then put back into the well and recycled. Now, Thames Water Commercial Services has identified another potential saving as a large amount of its water is taken off-site in bottles or as ice-cubes meaning it could qualify for a further discount. Kevin Durnian, Business Development Manager at Thames Water Commercial Services, said: “Businesses are not just charged for every cubic metre of water that comes in, but also for every cubic metre that goes out through the drains and sewers as this water then needs to be treated. “Therefore if we can demonstrate that a certain percentage of water is leaving the site in other ways such as in blocks of ice or in bottles, we should be able to save Summerhall even more money. Since 2008, when the retail market was opened to competition in Scotland, around 130,000 non-household customers have been able to choose who can supply their water and wastewater services, making it the first water market of its kind in the world. England will see a similar competitive water retail market opening in 2017. Companies switching to Thames Water Commercial Services can benefit from flexible billing arrangements, advice on tariff optimisation and managing water efficiently, a tailored approach, a dedicated Account manager, access to a wide range of technical services and a commitment to helping meet sustainability and environmental targets. CAN OUR PR AGENCY HELP YOUR BUSINESS?